The Brocade Palm tapestry shows a charming palm scene. A central palm tree in the desert is surrounded by decorative motifs of palm fronds and foliage and a butterfly. Fun and modern, this work shows a traditional subject of the exotic palm tree and reinterpreting it in a modern way. The palm is a symbol of exotic lands and culture, of the beach or desert. 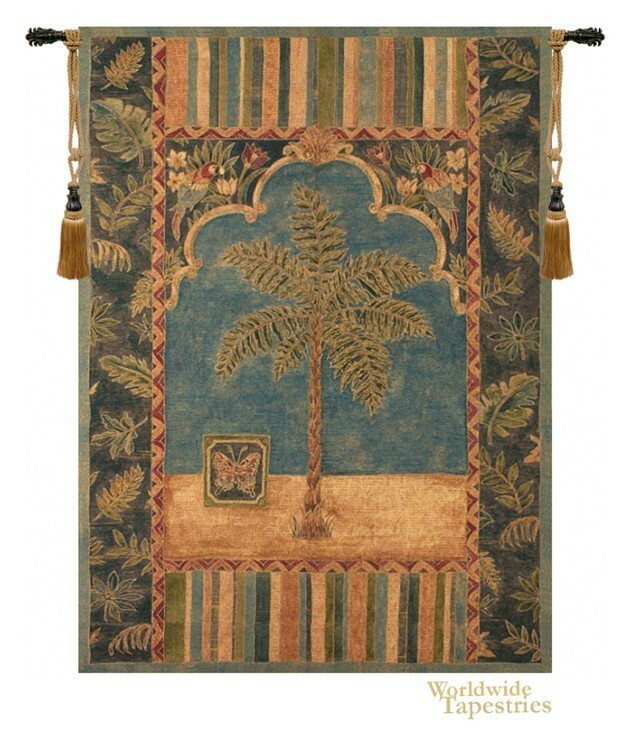 This Brocade Palm tapestry is backed with lining and tunnel for easy hanging. Note: tapestry rod and tassels, where pictured, are not included in the price.